HSBC’s first Beyond The Brick study found that the dream of being a home owner is not dead for millennials but delayed due to slow salary growth and house price inflation. More than 9,000 Millennials in nine different countries took part in a study, which found that only 40% of them currently own their own home. Four out of five of those who don’t currently own, intend to buy in the next five years. With China having the most millennial home owners (70% of those asked), the UK, Australia and the USA have fallen behind with less than 40% each. 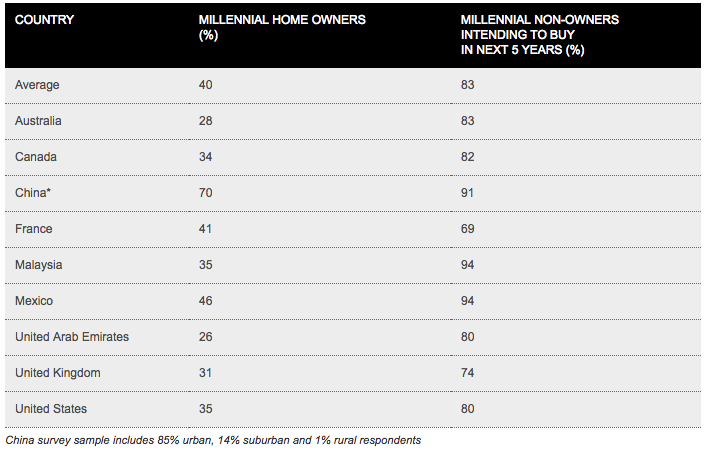 Source: HSBC study of millennial home owners. With property prices increasing, 69% of those wanting to buy have been unable to save enough money for the deposit on the property they would like. 64% of millennials said they needed a higher salary if they’re to buy their own home. 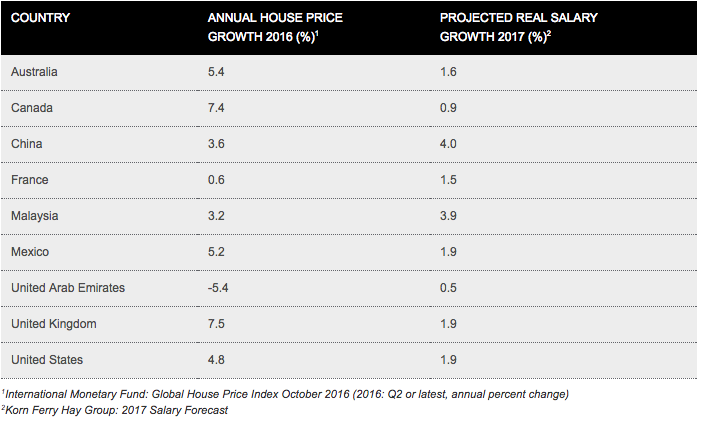 Eight of the nine countries in the study have seen house prices inflate, however, millennial salaries are not increasing at the same speed. The study also found that out of those who planned to buy a house in the near future, 31% had no budget in mind while only 54% had an estimated budget. Despite the added pressure to young homebuyers, the report found that the millennial generation is willing to make sacrifices in order to get on the property ladder. 21% of millennials said they’d consider having children at a later stage while 33% said they’d buy a ‘smaller than ideal’ home. Head to the HSBC’s website to read the full report. This entry was posted in Blog and tagged Blog, home buyer, Manchester, millennial, property. Bookmark the permalink.